Manufacturer of a wide range of products which include dead block coiler. 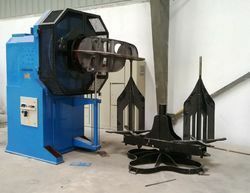 The offered coiling machine is processed with the usage of unfinished material which quality assured and updated technology. These are easy to operate resistant corrosion and provide best performance even under harsh working conditions.